The project aims at better social inclusion of socially deprived and vulnerable children with behavioural, emotional and developmental issues who are in care of guardians and adoptive and foster parents. The direct beneficiaries will be at least 200 existing and potential foster, guardian and adoptive families living in 5 municipalities – Bauska, Rundāle, Iecava, Vecumnieki and Šauliai from two neighbouring regions: Zemgale and Šauliai. Social support service – a social agency for non-biological families will be introduced in Latvia and improved in Lithuania. 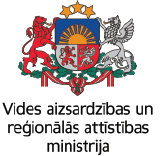 a. SOS Children’s Villages associations of Latvia so far has not provided direct support to non-biological families, while SOS Lithuania with the Ministry of Welfare and Vilnius Municipality is working on piloting a social support agency model. The social agency will introduce 2 new forms, namely a Child’ Individual Development Plan (CIDP) and a Foster Family’s Development Plan (FFDP) as important evidence-and knowledge- based approaches to support foster families and enhance their capacity in providing care for vulnerable children. Plans will help specialists to determine the additional support and training needs of the family, that will be provided within the project. The project will organize networking activities for non-biological families. Cross border cooperation and expertise sharing between SOS Latvia and SOS Lithuania will enable families to provide better quality children care and will increase foster parents’ capacity. The services and measures will be provided through a team-work based collaboration model between caregivers, the social agency and municipality. Training to municipality specialists of will be organized, as well as joint National Stakeholder Committees will be working to ensure better transfer of knowledge and experience. Along with social impact the project will also have an economic impact through the prevention of secondary abandonment of children. Training for foster and adoptive parents and guardian families on topic "Safe attachment"